So… I was weeding my garden… again… ha! I really was. 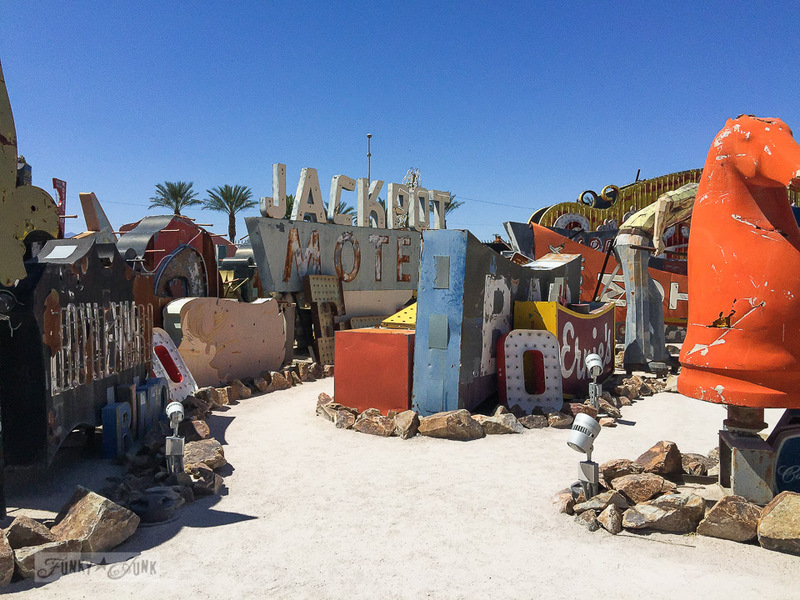 But the sun was too bright to capture what I was doing, so today I’m going to risk gardening vs Vegas one more time, (LOL) and take you to one place in Las Vegas I couldn’t wait to blast through the gates to! 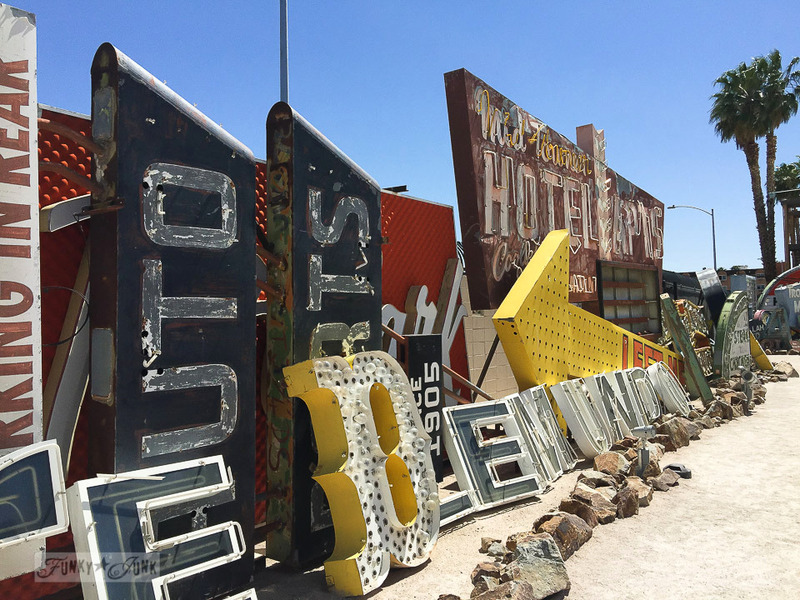 This is where old neon signs go to retire. 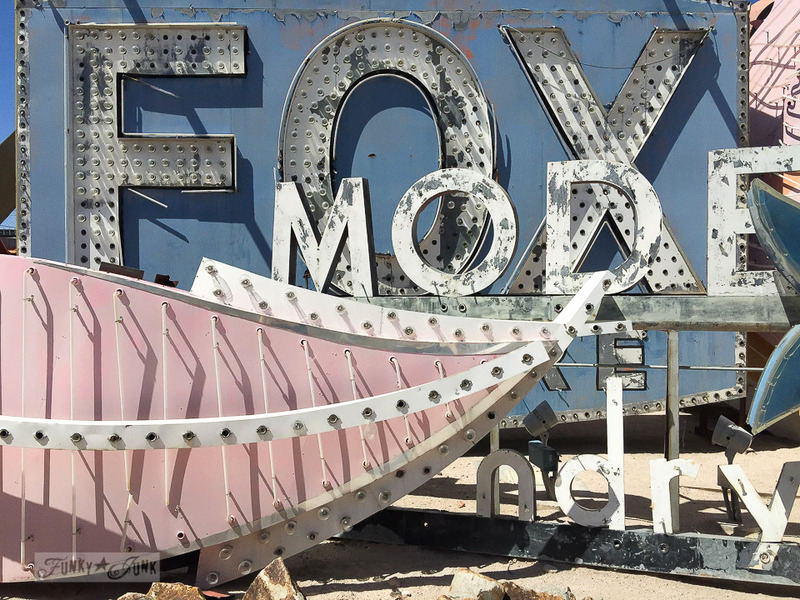 And what better place than pretty much the neon capital of the world. Before I left on this trip, I had searched ‘what to do in Vegas’, and this popped up. And then Bliss Ranch told me she went there too. <— now that is one funny review! Well… that’s all I needed to hear. It was officially on my MUST VISIT list. Meegan, from What Meegan Makes picked me up from my hotel for this adventure! Here is the post Meegan did. She caught some really different signs! And I am soooo grateful. 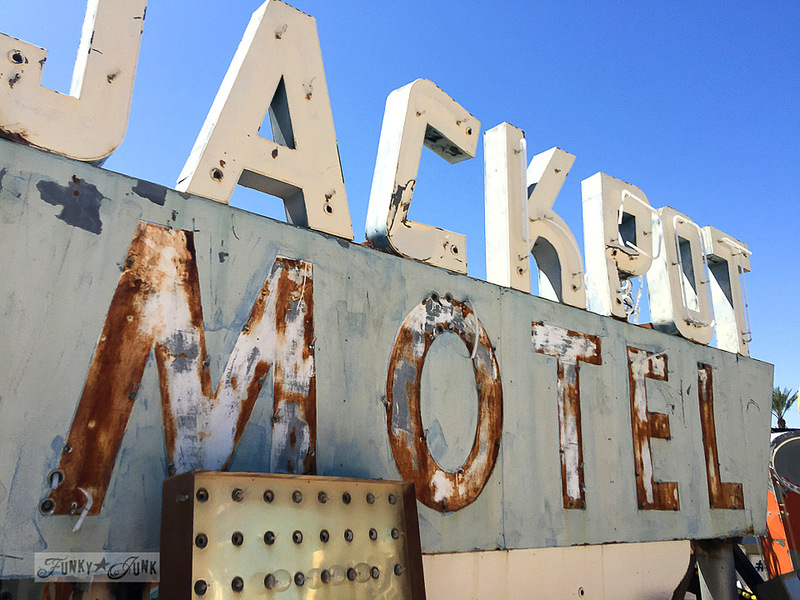 Las Vegas was amazing… but staying in all the glitz and glamour and gambling and heavy party atmosphere the entire time had me feeling a little out of place. But this?! THIS was cool! 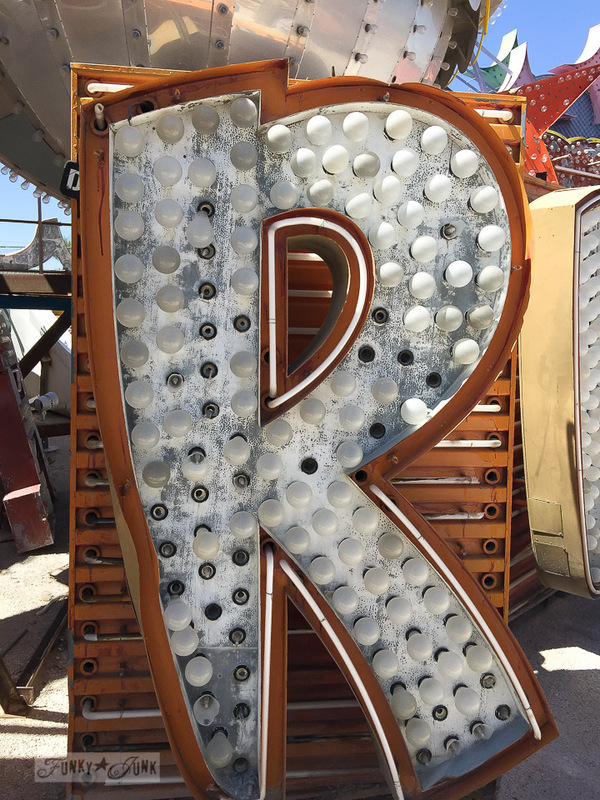 Something I hadn’t realized was, the Neon Sign Museum hosts talking tours. You can’t just walk around on your own accord and take pictures. I wanted a LOT more time to play around with angles and neat shots. But we only had moments, so we had to click fast and dash ahead to keep up with the group. But I will say, the guided tour had you taking some great pictures without people in them, so there’s that. And our guide sure knew her stuff. She did a great job hitting on the history of the signs. There’s such a richness to this type of art. I could have photographed here all day. I mean, even the areas with scratched off paint are amazing. Doesn’t this shot look like a painting? The mix of pastels and shapes… love it! My fav colour combo is black, white and rust. Isn’t this a beauty? How is it possible that the sun can age something so spectacularly? Many of the light bulbs were taped into place, because apparently they get stolen as souvenirs. I think these were untaped. There are also night time tours. It would have been fun to venture back, but daytime is better for pictures, so I’m happy with our choice. I mean, they are beautiful! Check this skull head out. Isn’t it MASSIVE? Many of the signs that come here are either donated, or are brought in when they are discarded or replaced. It was interesting to see a few you’d recognize. 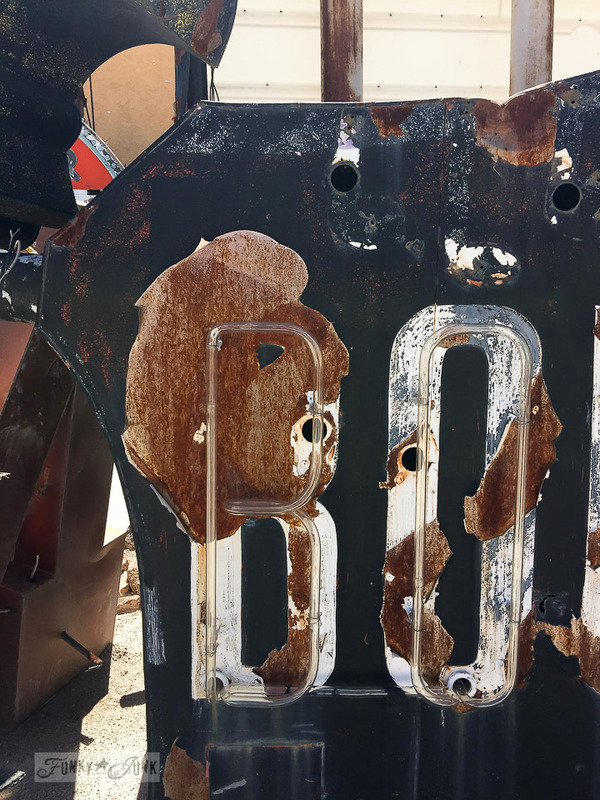 It was a fascinating tour, and one a veteran signmaker or junker can appreciate for sure! 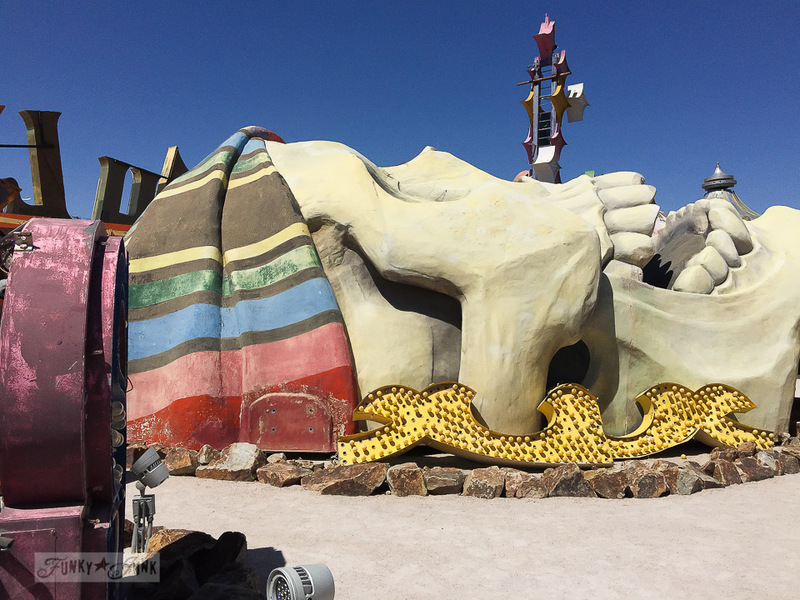 The drive to the museum is approx 20ish minutes from the strip. You’ll need to prepurchase a tour ticket online before your arrival. If I ever locate that camera card, I’ll add a few more you’ll recognize! Did you know this place existed? Have you been? Amazing. I would go here for sure. Thanks for sharing your pics, and always great adventures. Donna, I would have had a blast too! Their amazing thanks for sharing these cool photos. This is beyond cool, your pictures seem to tell a story on there own. I love all things historical, even if it’s just a mere 50 plus years ago. If I ever make it to Vegas again this tour is on my list. Thanks for sharing – enjoyed. 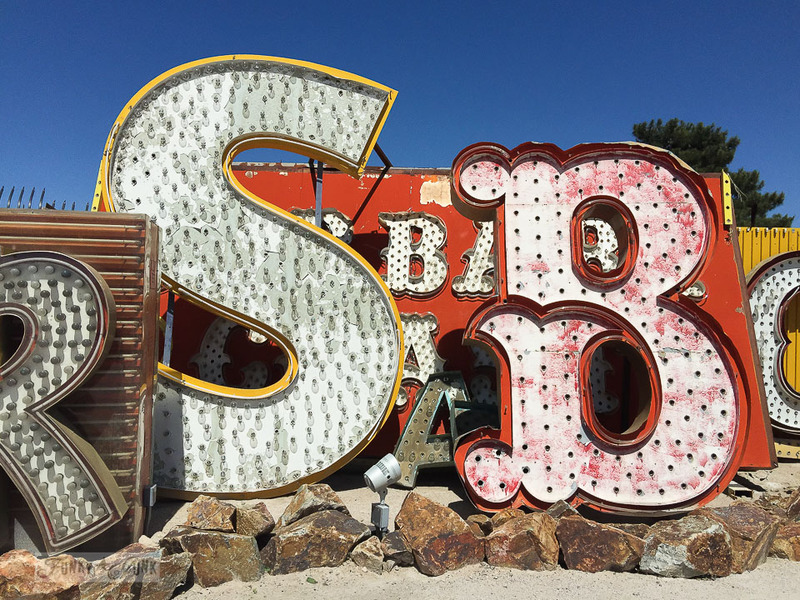 Our office takes a fun trip for 2 days once every year to Vegas (as a thank you for a great year) and I wish I would have known about this place years ago! When we go back again in January this will be on my list to visit. Thanks for the info! 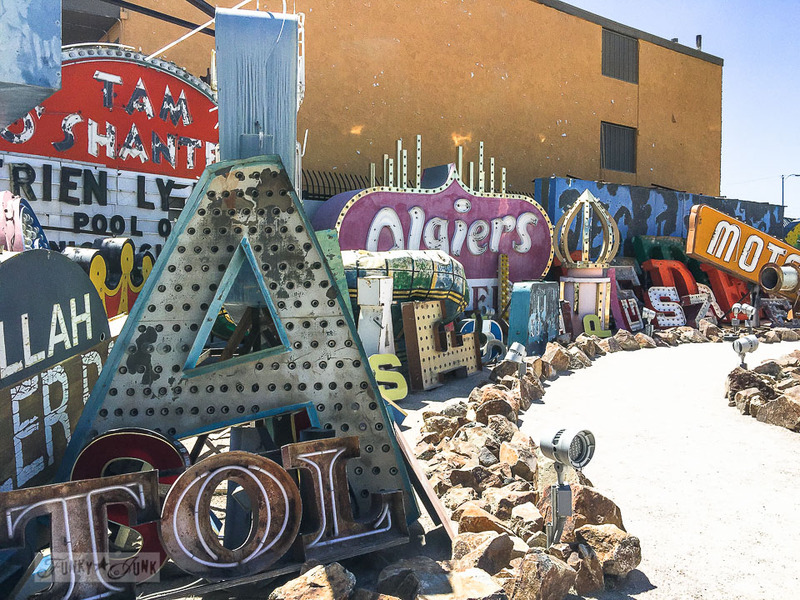 You’ll need to rent a car to get there, but it’s not far away, within 20 minutes from the strip! You also need to prepurchase tickets. Just go online to book! What a cool place! 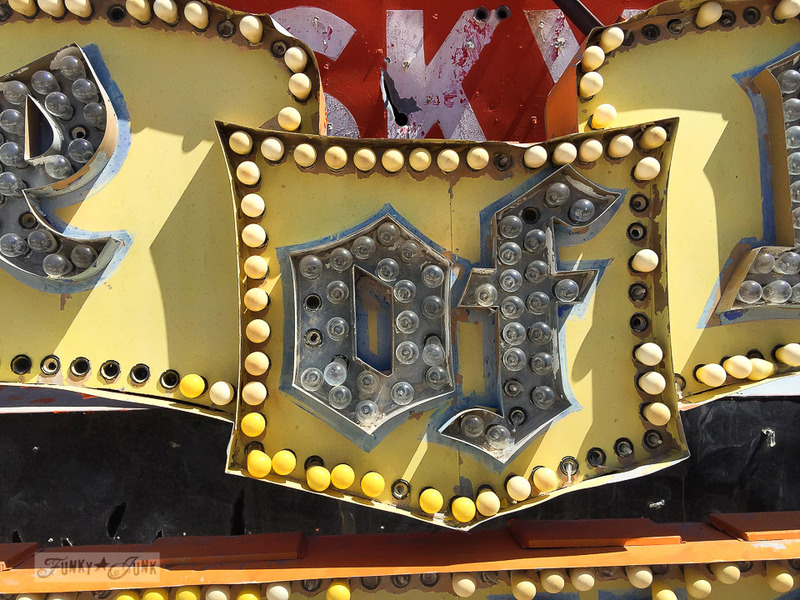 Such irony of the glitz of LV…nothing is permanent. Eventually all the signs will end up here. Funny-one of the ads popped up under one of the pictures, “You need a dust cloth”. You always find the coolest places when you are off traveling! 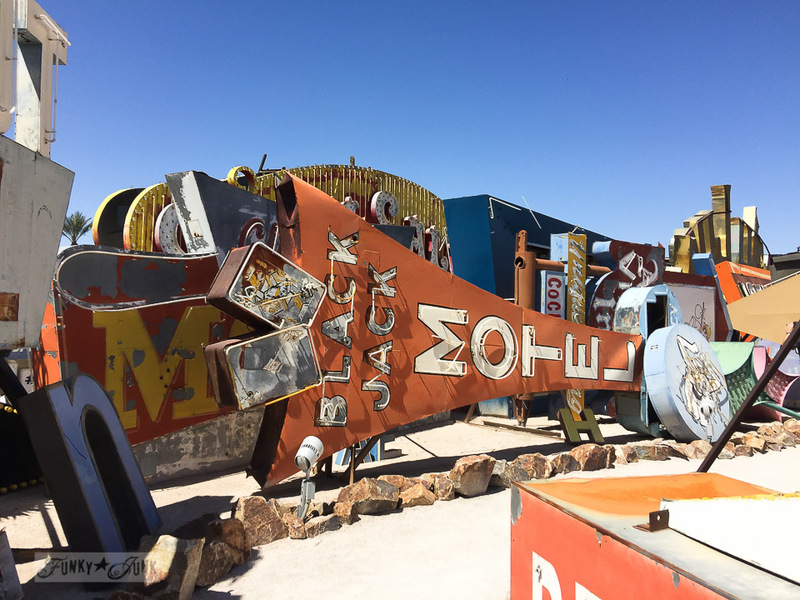 I’ve been to Vegas a few times and never even knew this place existed, but you can bet that I’ll be planning a stop at the museum the next time around! LOVE these photos, too…soooooo many of them are definitely fit to frame and display! If you ever find the camera card with other pix of the museum, I hope you plan to share…I’d love to see them! I really hope it surfaces, I saved the best shots for the camera… ugh! I’m keeping my fingers firmly crossed you’ll find that card because the phone pix are truly amazing, so I can only imagine how out-of-this-world awesome your camera pix are! 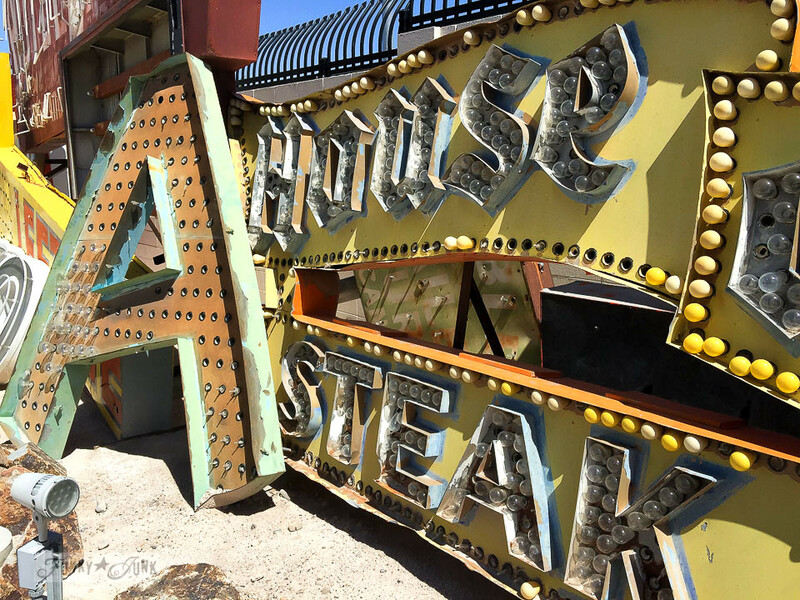 I’ve always been fascinated by neon marquees…the lights are probably my fave thing about Vegas, actually…and these signs are truly mesmerizing! I have been there, fascinating place. 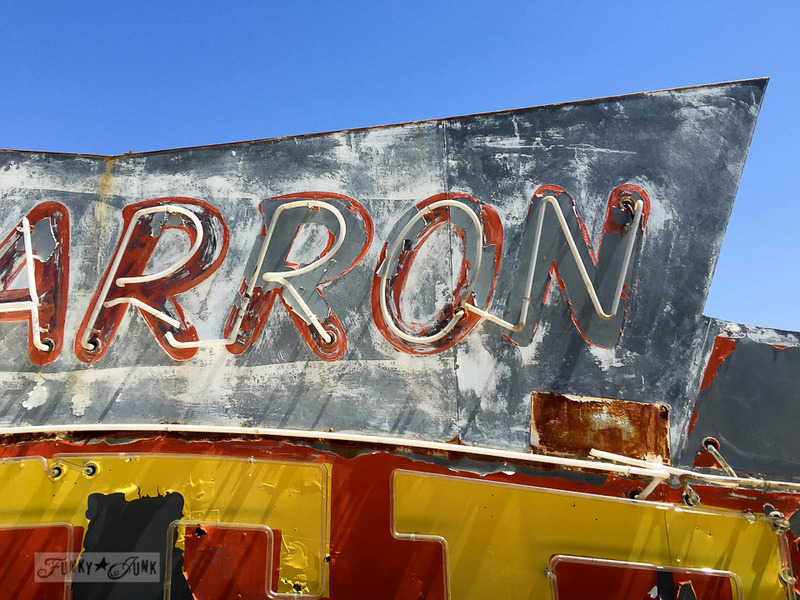 I was on a mission looking for the motel sign where my mom and dad spent their honeymoon from 1946, no I didn’t find it , but I had a great time looking. 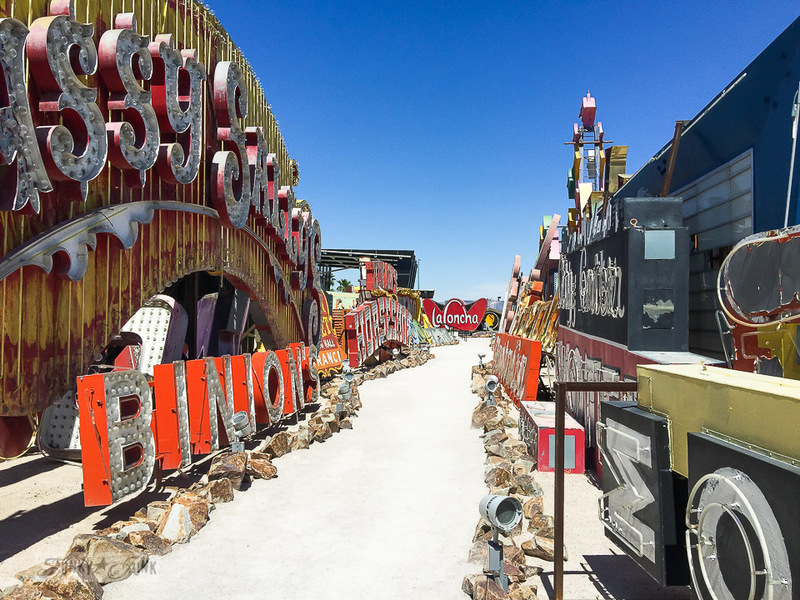 I have been fascinated and really loved these signs since I was a little girl, I can’t think of a better place for someone like myself to spend a day or a night or both. One of the Auction Hunters episodes had Barry visit this attraction to find out the value of something. You made it look much more interesting without the distraction of Barry getting in the way. Haha! Yeah, I can see why you’d say that. The signs really speak for themselves and are knockouts all on their own. Stunning is not enough of a word to describe. What a godsmack for the eyes. All I see is gold. Believe me — I was drooling through every picture! So glad someone had the wherewithal not to melt these down, or send them to the dump. This is on my bucket list next time I’m in Vegas, it seems like a nice retreat from all the glitz of the strip. 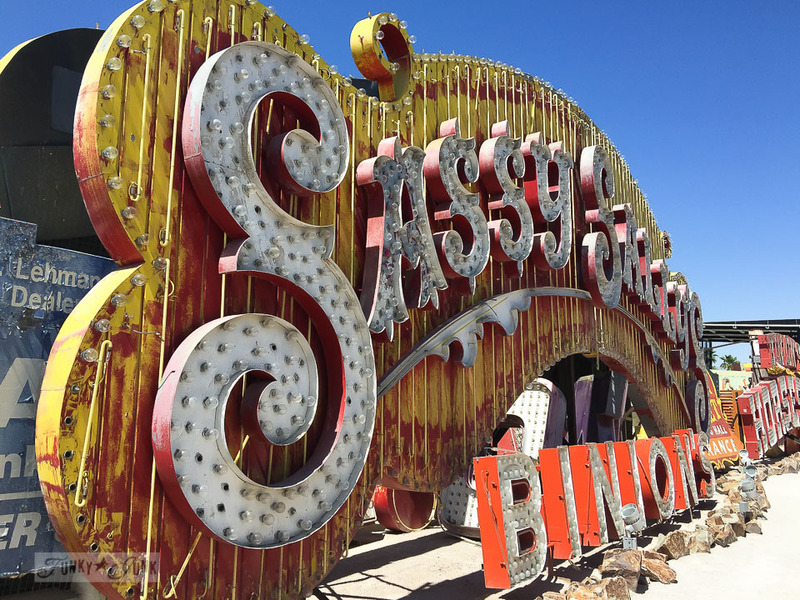 I’m pretty sure you and I could be content there for a long time surrounded by all that vintage neon coolness. I wandered around trying to decide if I could have one sign which I would pick. 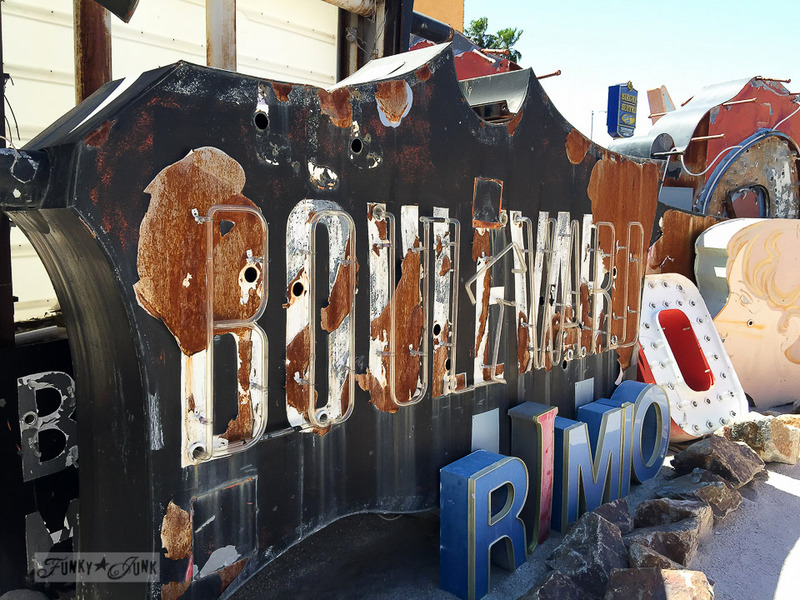 Thanks for the shoutout too, rusty authentic signs, it doesn’t get any better. I love the signs, but I was also noticing the rocks that surround the signs. They look like petrified wood. Everything looks so neat and tidy. I think you got some great shots. What a cool place! It’s nice to know they do things like this, so much more interesting (to me) than all the glitz and glamour, but also so much better than putting these in a landfill. That pastel shot would be fabulous in a frame. Is there a place in your home those colours could fit?